How’s Things Goin’ With The Church? One of the most frequent questions I receive from people outside the church is “So how are things going with the church?” I think most people ask that question from a rather innocent position. For them it is a simple question. A normal question. A pastor works with a church, and when you’re talking with a pastor wouldn’t it be normal to ask them how things are going with the church? Sure. But here’s where it gets interesting. The answer! But, oh, there is so much more to that answer. When they ask me how things are going, I often wonder if they really want to know. If they have time to have a real conversation. This coming Sunday we’re going to split the sermon in two. The first half we’ll take some time to look at how things are going with the church. Not nearly enough time to dig deeply into the answer. But I want to spend a few minutes discussing it with you from my perspective. 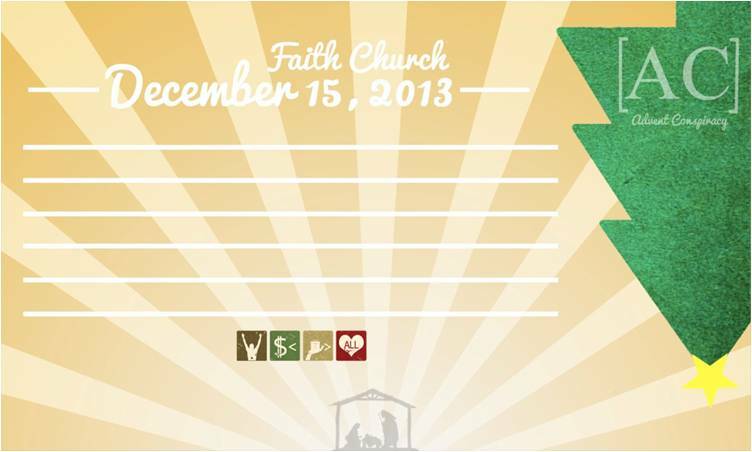 But to get ready for that, I wonder if you might take a look back at Faith Church’s 2013. Have you seen how Facebook gives you a year in review? I looked at mine, and it was interesting how Facebook skipped over stuff. I wonder what kind of algorithm they used to pick what posts they selected for our year in review. It is a creative idea and a fun feature. We are a people who love to look back. So this time of year there on TV you get a blizzard of Best of 2013 shows. Maybe your Facebook year in review missed a lot of your special events too. Ever notice how that happens with people too? We see things from a certain perspective…our OWN perspective. But someone else looking at the same situation sees things differently. Or they remember things we forgot. Do you remember what 2013 was like for Faith Church? Maybe you could scroll down through our Facebook page and check it out? Maybe in the comments section below you could share you favorite memories! Is your church keeping you from loving one another? Yesterday we finished The Advent Conspiracy series. Over the past four weeks we have been challenged to Worship Fully, Spend Less, Give More, and yesterday Love All. All? That can seem impossible. If we see the extreme difference between ourselves and others, it can seem like a chasm we could never cross and don’t want to. People can be so hard to love. The people we just don’t like or find offensive or beneath us or disgusting. But everyone was beneath Jesus. Imagine the gulf he had to cross! It was incalculable. And yet there he is, becoming human. Born as a baby into the lowest of circumstances. And not only that, dying for us. If he went the ultimate distance for us, we have a great impetus to cross that gulf for the people in our world. What does that look like? To grow in love? 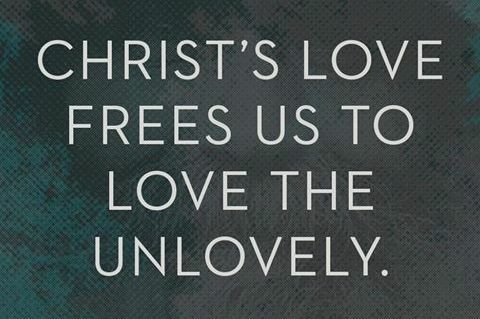 Especially loving the unlovely? Jesus told his disciples that we should be known for how much we love one another. A question that I have been wrestling with is this: Does an institutional church keep us from loving one another? Let me explain a bit more. An institutional church is heavy on structures, programs, building-centered. The answer to nearly every need, whether it be “how do we make disciples” or “how do we reach the poor” is a program. The conclusion is that if church is about programs, then being a good Christian is about showing up at programs. Have a need? Here’s a class! Want to be a good disciple? Show up at the program. Reach the needy? Start a ministry. Look at the early church in Acts 2:42-47 and 4:32-37. Love for one another was the focus. They were especially generous toward those in need! How far will we go to show our love for those in need? A skeptical world needs to see us practice what we preach, and that is primarily love. Love All? Really? It’s impossible. Then there is the issue of how freaking difficult it is to love some people. You could probably think of a few people in your life. Who comes to mind when you think of the word “difficult”? When we think of those people, we don’t want to love them, and we don’t feel we need to. Or if we have a sense that we should love them, we can justify not doing so because they are so difficult. The needy person, the long-talker, the negative person, the complainer, the arrogant one, the know-it-all. These are difficult people to love! We would rather not spend time with them. We would rather avoid them. And yet Christmas is about an amazing act of love to a people that were not lovely. Loving the unlovely. Is this not what the birth of Christ is all about? The Bible describes it this way: “the people walking in darkness have seen a great light.” Praise God that he did not turn his nose up at unlovely people. Praise him that he lovingly gave himself to reach out to his people who needed his love. Christmas is a time for worshipping God because he loved the unlovely. It is also a reminder to us to do the same. Who are the unlovely in your life? What will it take to love them? Before you read further, stop here and think to yourself: what is the most awful, obnoxious Christmas commercial you’ve ever seen? Maybe write it down. Maybe comment in the comment section below. Take a few moments and get some options in mind. As we continue our study of The Advent Conspiracy, this Sunday we will talk about giving more. So we’re going to learn how to give our loved ones luxury cars for Christmas! Or maybe not. Is there another way to Give More? Whenever pastors start talking about giving more, people get nervous. They get “sick” and have to stay home from worship that Sunday. Let me tell you from the other side of the pulpit (which I never use anymore), that pastors hate preaching about giving. How can we convey biblical teaching so that it doesn’t come off as self-serving? It is awkward all around. Perhaps we can look at it differently. In the Advent Conspiracy, we have already talked about how the focus of Christmas is to worship God, and so we worship him by spending less, in order that we might be able to give more. If we spend less, though, won’t we have less to give? Come find out! Christmas and spending less are two concepts that don’t mix in our culture. Spending more? Now that’s the idea! From the pulpits and the prophets we hear a lot each year about spending less. But what if spending less means spending more? While SNL was being very funny, they were also pointing out a grim reality. When we think about all the great deals on Black Friday that drive people like herders driving cattle into stores, creating a stampede-like chaos, have you ever considered how a store can sell a TV so inexpensively? We thrive on the idea of paying less. We’re getting a deal! But how are we able to get that deal? Is the store willing to make less money so we don’t have to spend as much? You know the answer to that is a big fat “No!”. We call these deals “steals”, but is it possible that we are stealing from someone? The sad answer is “Yes.” All too often it is the unseen worker, usually in another country, that is making it possible for us to get our cheap TVs. 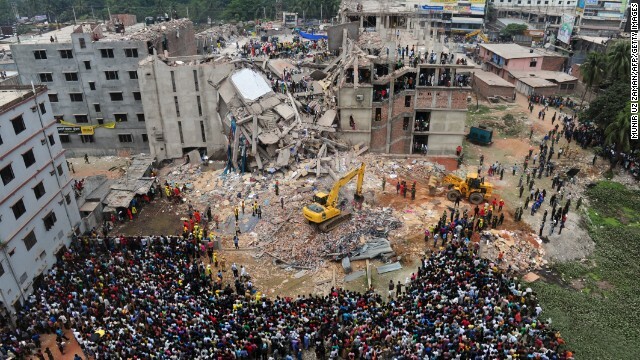 Remember the factory collapse in Bangladesh that killed 1000 workers? Apparently there are still problems. Perhaps a large part of the ongoing problem is that we, the consumers of the clothing, just keep buying them, no matter that the workers are paid a pittance they cannot live on, and their working considers are literally deadly. James, the brother of Jesus, and leader of the early church in Jerusalem, said that the Lord is very concerned when we don’t pay workers their due. Read James 5:1-5. His strong words should give us pause before going to the mall at Christmas. Lest this start to turn negative, there is hope! Spend MORE! That’s right. More. More wisely. More justly. And, yes, that might mean more money too. If we know that a dress could be had for $15, we like that price. But when the $15 dress was made in a falling down factory in Bangladesh with workers paid a wage that keeps them in poverty (sounds like slavery, doesn’t it? 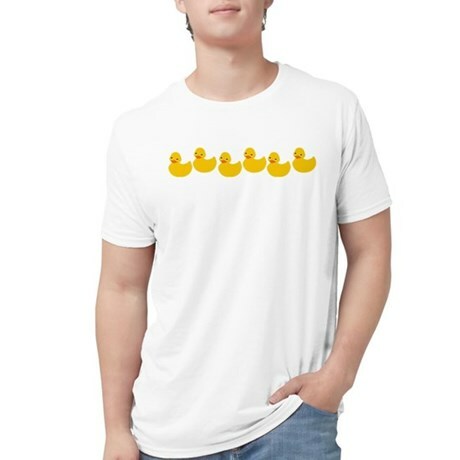 ), perhaps that $15 isn’t enough? Instead, we need to find clothes and other products that are actually fairly made, even if it costs us more. And once we start looking, once we make the commitment to honor the Lord and pay workers fairly, what we find is amazing! There are companies dedicated to fair trade, direct trade, fair wage employment. One such company is Imagine Goods, which sells many kinds of clothing and home goods. You can even meet the people who make their products! There are other similar companies as well. This Christmas perhaps you’ll experience the joy of spending less by spending more! Over the last year I became familiar with a new acronym. Our digital culture loves acronyms! Have you heard of YOLO??? While YOLO is true, how should we think about it? Quick question for you: What was the one gift you remember getting for Christmas last year? Next question: What about the fourth gift? Do you remember that one? Truth is many of us don’t because it wasn’t something we necessarily wanted or needed. Spending Less isn’t a call to stop giving gifts; it’s a call to stop spending money on gifts we won’t remember in less than a year. America spends around $450 billion dollars during the Christmas season, and much of that goes right onto a credit card. By spending wisely on gifts we free ourselves from the anxiety associated with debt so we can take in the season with a full heart. But how do we do this? And what does it really matter? Why not just enjoy life? YOLO! Right? Have any ideas? Come prepared to think and discuss deeply as Phil Bartelt teaches our Second Week of Advent theme: Spend Less.